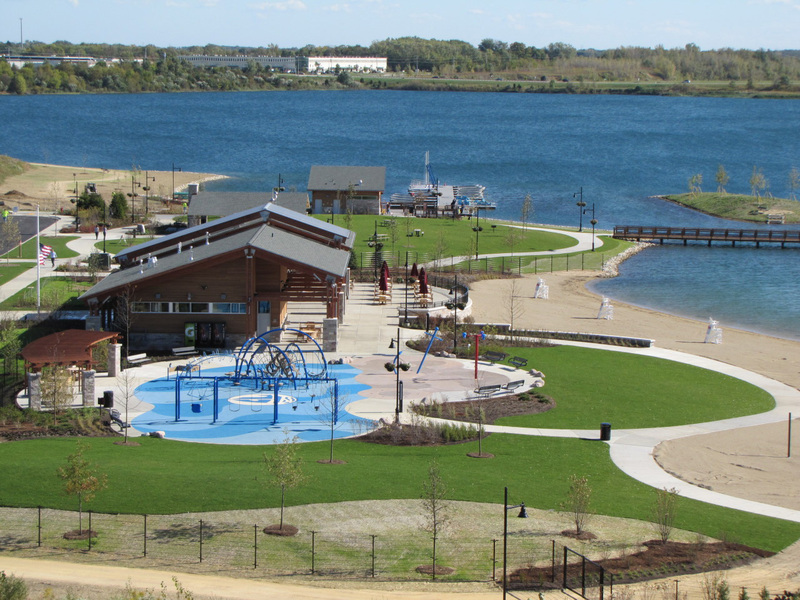 The City of Crystal Lake is committed to continuing the high quality of life enjoyed by the citizens and businesses of the Crystal Lake community. Our mission is to enhance and preserve this quality of life by providing fiscally sound and responsive services, programs, and facilities with the highest degree of professionalism, integrity, and efficiency so that Crystal Lake continues to be a great place to live and work. The Crystal Lake area's first European settlers, Beman and Polly Tuttle Crandall arrived in February 1636 with their six children, and discovered a sparkling clear lake, tall timber, and vast prairies. By August 1836, the U.S. government granted homestead rights to the Crandall's. An old trail, forged by the Sac and Fox tribes, extended from Fort Dearborn in Chicago to northwest Wisconsin, with the portion through Crystal Lake known as Route 14. A log cabin inn, the Lyman-Kink House, stood on Virginia Street near Pomeroy Avenue and served as a stage coach stop and trading post. The Village of Crystal Lake was platted in 1840 by Beman Crandall, Christopher Walkup, and Abner Beardsley. At the time, the surveyors determined the boundaries to be Virginia Street to the north, Lake Avenue to the south; McHenry Avenue to the east; and Dole Avenue to the west. 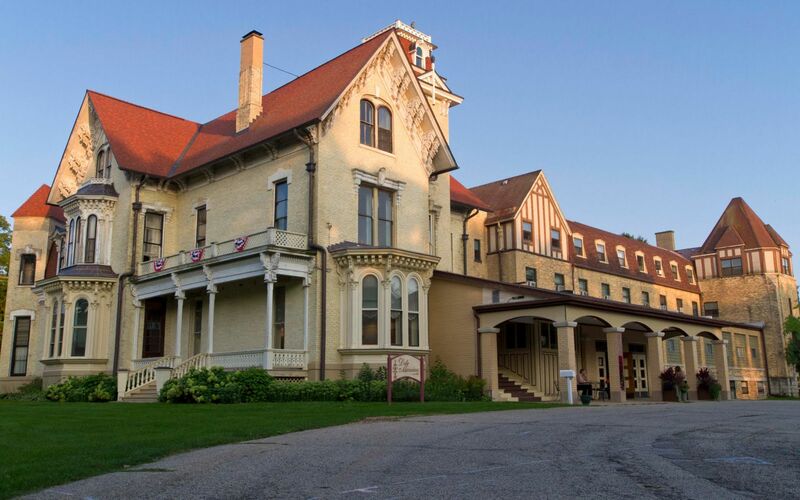 The Village of Nunda was established in 1855, with the Chicago, St. Paul and Fond du Lac railroad (the track is now owned by the Union Pacific), the first direct rail connection from Chicago. The train stop in the Village of Nunda established the town as the commercial hub of McHenry County. The street configuration of Crystal Lake's present downtown reflects the railroad's early influence. In 1856, a rail spur line (now Dole Avenue) was built from the Village of Nunda to Crystal Lake to transport ice cut from the lake to Chicago and to bring visitors from Chicago to the area. Many public infrastructure improvements took place in the early years of the two villages. The Chicago Telephone Company received a right-of-way in 1883. In 1884, wooden sidewalks were constructed. The water system was built in the Village of Nunda in 1899 and in the Village of Crystal Lake in 1912. The Nunda Electric Company built a plant on Walkup Avenue, south of the Union Pacific track, in 1902. Western United Gas and Electric Company began operations in 1909. The city built the wastewater treatment system on McHenry Avenue, south of Barlina Road, in 1919. Road paving became a predominant fixture in the community 1924 and 1929 with increasing use of the personal automobile. The Village of Nunda became North Crystal Lake in 1908. Consolidation of Crystal Lake and North Crystal Lake occurred on April 28, 1914. The city of Crystal Lake Charter was adopted on September 23, 1914. As the largest city in McHenry County, Crystal Lake contains three high schools and has many separate neighborhoods. Starting from the north of the city, the ten largest neighborhoods are easy to trace out. The first has no de facto name like the others, but is referred to as "by Prairie Ridge," referring to the nearby high school of the same name. Houses in this neighborhood are large and widely spaced. The entire area lies just to the north of the city, from the downtown area to the adjacent community of Bull Valley. Next is downtown Crystal Lake, which rings Crystal Lake Central High School. Houses here range greatly in size and age, and it is the most diverse neighborhood in the city. Directly south of downtown Crystal Lake is the Coventry neighborhood, named for the major through street Coventry Lane. Students in the Coventry neighborhood attend either Central High School of Crystal Lake or Crystal Lake South High School. Oral tradition holds that Coventry was originally populated by pilots who fly out of O'Hare Airport. The neighborhood Burtons Bridge is located at the north-eastern side of Crystal Lake. To the southwest of downtown Crystal Lake is the sprawling Four Colonies neighborhood, which covers nearly 2.5 sq mi (6.5 km2). Students from Four Colonies attend both Central and South High School. South of Four Colonies is The Villages neighborhood, which is named for its major thoroughfare, Village Road. An important feature of The Villages is Indian Prairie Elementary School, which is built on a large and steep series of hills that is a favorite sledding location during the snowy months. The residents attend South High School. A neighborhood Northeast of Four Colonies is Wedgewood. Wedgewood includes five ponds, and a forest that backs up to Huntley Road, with a paved walking path. Wedgewood has 5 brick entrance signs saying "Wedgewood", and 3 prominent entrances; the front entrance on Huntley Road's intersection with Lakeview Drive, the back entrance on Huntley Road's intersection with Boneset Drive, and the side entrance on Country Club Road. Wedgewood consists of Single Family Homes, and Villas. Wedgewood Drive circles the whole neighborhood, and is a 1½ mile circle. Wedgewood has beautiful large homes, and villas. 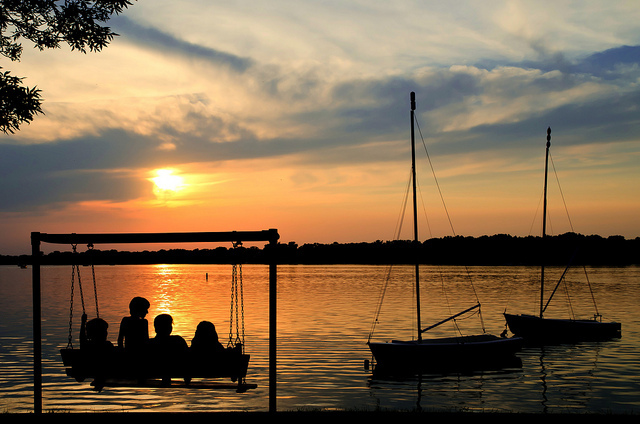 Other neighborhoods in Crystal Lake ring the town's namesake lake, and are called West End, North Shore, and the Vista. These neighborhoods consist of many older homes built on the lake shore, and vary greatly in size and style. 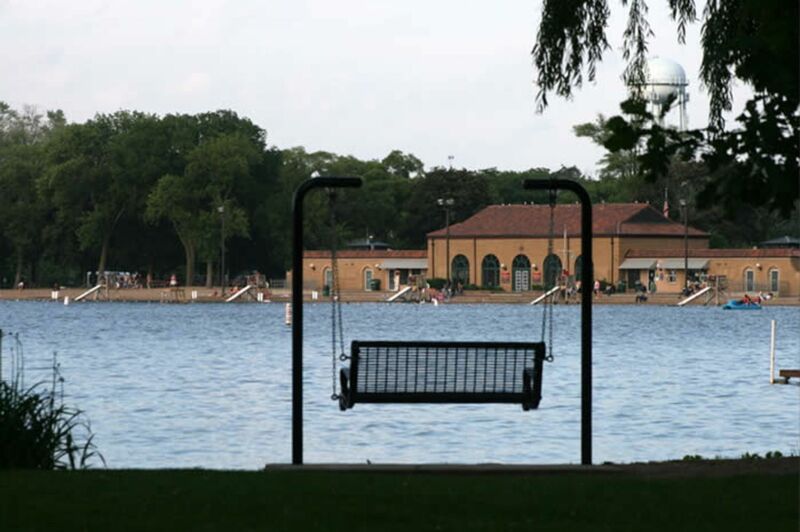 Effectively a neighborhood and occupying the entire south shore of the lake is the independent Village of Lakewood, historically a restricted community connected strongly to the Crystal Lake Country Club alongside it.